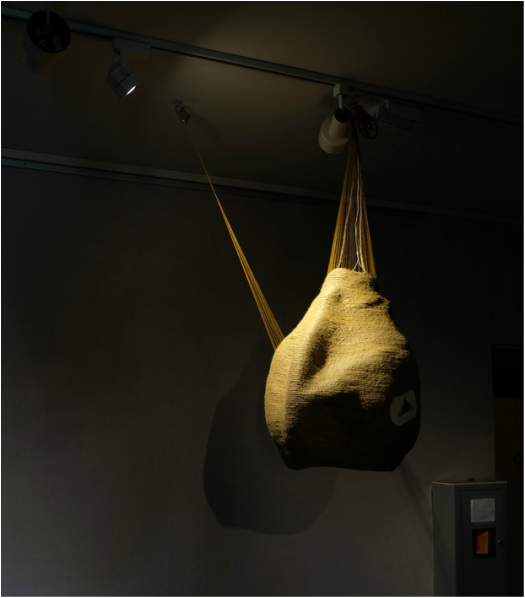 Abuzz, a solo exhibition of Amber Imrie-Situnayake’s fiber-based installations at Napa Valley Museum, June-August 2016. Hum is an interactive installation of eight hanging hive/cocoons made from woven fiber and incorporating hand-embroidered insects and LED lights. Hanging at shoulder height, visitors are invited to stand under the cocoons, placing their heads inside, to experience the sounds of each hive’s insect colony. 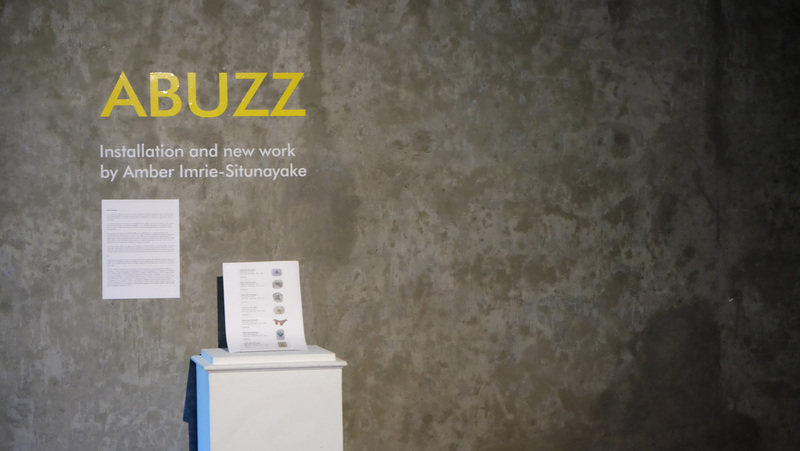 In addition to Hum, Imrie-Situnayake will create new work for the exhibition, which will manifest as an explorers desk. The desk will hold a collection of embroidered specimens, felted wool rocks, and photos printed on fabric with fiber alterations.